Loughshinny M.C.S.C. 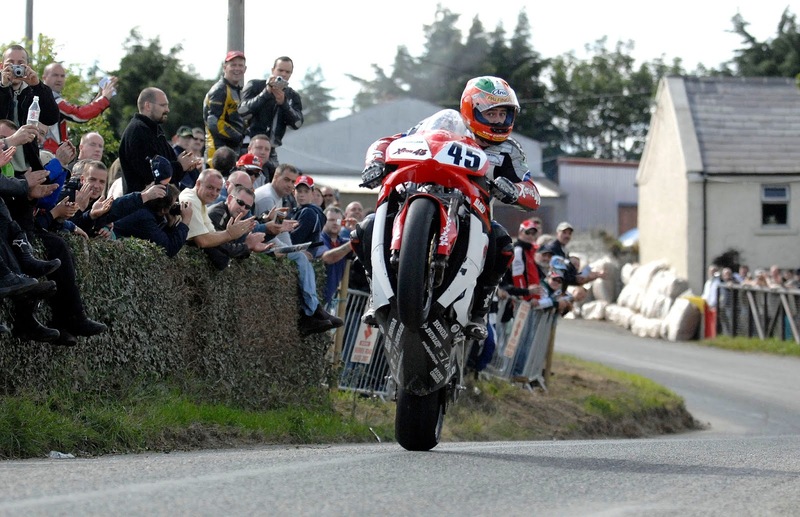 are delighted to announce that the “Friends of the Late Martin Finnegan” have come together to raise money for a special one off Superbike (Non Championship Invitation Race) that will take place as part of the 72nd Skerries 100, sponsored by Country Crest and Des D’arcy Motors. The race will be held during the middle of the race programme and the prize fund will be the largest ever in Ireland for a National Road Race. The winner will take home a whopping €5000, with €12000 in total prize fund for the race. There is no doubt that this will bring out the best riders to the 2.92 mile Skerries course, with this year’s races changing from the usual Friday/Saturday to Saturday/Sunday 7/8 July. The club once more wish to thank the Southern 100 Club in the Isle of Man for their help in facilitating riders competing in the Southern 100. As part of the 10th Anniversary of the late Martin Finnegan, seven of Martin’s bikes will parade around the course for one lap, and the lucky riders will be announced soon. The parade lap will take place before the grand final. Don’t forget that the Sponsor a Bale promotion this year will see a replica Martin Finnegan helmet, kindly donated by Tossie Fitzsimons from Vanfleet Transport, and you can sponsor a bale on line @ http://www.paypal.me/SkerriesRoadRaces with tickets at just €10. We also wish to remind fans that the weekend race admission, including a race programme is only €25, and this will cover both Saturday and Sunday. These will be available at the Classic Run which will take place on Friday 6th July starting at Skerries Mills, and this year all funds raised will go towards the MCI Medical team, who are trying to raise funds to purchase vital equipment. Sign on will start from 6.30pm, with the run starting at 7.30pm.